This place has stoner s(n)acks galore. There are TWO chicken burgers on the menu, so we’ll be back to review the other one soon, but for now we settled on The Southern Hick. It comes with maple smoked bacon, jack cheese, iceberg lettuce, tomato, and ZP’s own secret sauce but it was the smoked jalapeños that really put this one over the top. (Note: they come standard on the other burger, but we asked for them on the Southern Hick because SMOKED JALAPEÑOS! Even without those, the maple smoked bacon is the best we’ve had in Australia and it adds a unique sweetness that we haven’t enjoyed anywhere else. Speaking of sweetness, these knuckleheads have created a dessert called the “Oreogasm” – two Oreo cookies deep fried in doughnut batter with toffee caramel ice cream and topped with liquid Nutella and a cherry. Proceed at your own risk. 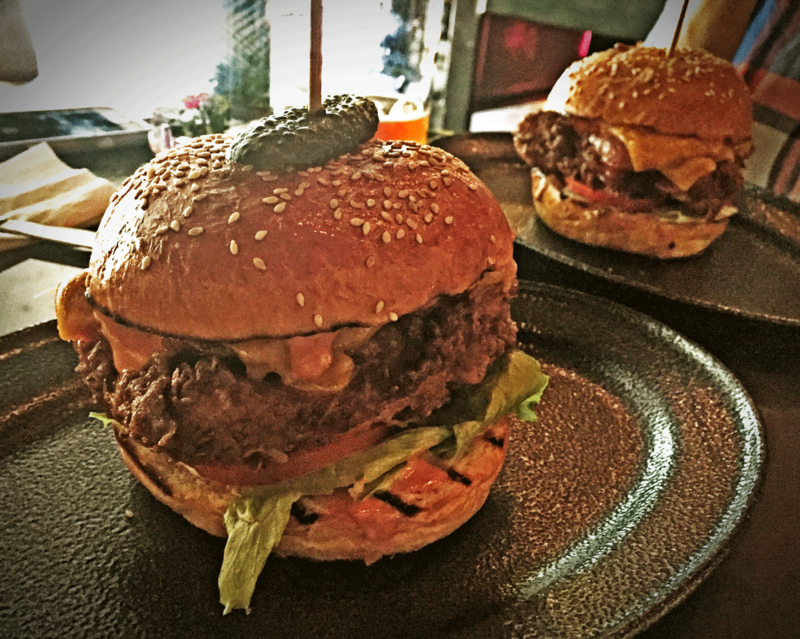 Overall we were very impressed with what Ze Pickle has to offer, they are onto a winning formula and we can’t wait to go back to try chicken burger number two. Factor in the usual teething pains most restaurants suffer through during their first few months of business, and the fact that these guys get so much right, right out of the gate is even more impressive. If they keep it up, they could well be on their way to a Best Burger Award this year. Buaawk: There are a couple easy points to deduct from this nearly perfect burger. For starters, chips are extra. At $16.50 you’d expect at least a small portion to be included. 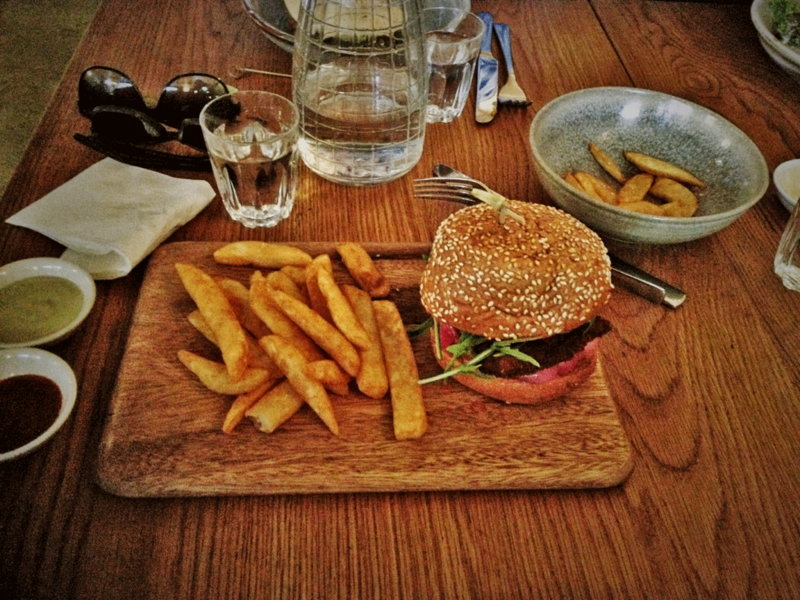 Our general feeling at HC is that charging for chips with a burger is un-Australian, un-American, un-Everything. Unless they’re amazing chips. We didn’t order any, so we’ll report back when we review that second dirty bird burger on the menu. The bread roll isn’t anything special – normally we like a nice brioche or sometimes a toasted rye bread, but in this instance the rye would have looked out of place, and sweetness of the brioche along with the sweetness from the maple bacon would have made the whole thing too sugary. The fact that the Chef knew this gets them a 7, but the roll itself is a 5. If you’re a regular reader of Holy-Cluck then you know we love our sauces. Ze Pickle have a special ZP sauce, but we have no idea what it is and it wasn’t apparent on the burger. Asking for other sauces got us a small ramekin of Cholula, a great choice, but bring the bloody bottle so we can slather at will, and more options is more better. UPDATE: We went back. Brought some friends. This burger stacks up. Solid nines and 9.5’s all around. And this time we ordered the beer cheese sauce and maple bacon fries. All we can say is they’re super tasty and we’re gonna need bigger pants. We still think chips should come with the burgers as opposed to being an add-on, but as far as add-on’s go, these are the goods. Squawk: Great chips – thick, crunchy and salty. Great sauces too – Sriracha, Garlic Aioli, and Wasabi Mayo. As for the burger, which is what you really want to know about, the bun was nice and soft, perfectly toasted and seeded. Fresh greens always nice. And nice presentation. Bonus: Friendly staff turned off the A/C which was blowing a frigid breeze directly at our table. Props.